… a day of inclusion for churches that celebrates the gifts of all. Livability is calling churches UK-wide to join together and mark out this as a special day in their community. With a special focus on disability, the day is about celebrating the gifts of everyone and working for inclusive and accessible church. Ability Sunday provides churches with an information pack for how to run the day, a sermon outline and notes – based on the Bible theme of ‘Love your neighbour’ (Luke 10: 24-37) and a film with the Bible reading, that could be used in a church service. To find out more and to register for a pack follow this link. The Ability Sunday campaign began its life as part of the charity ‘Prospects – for people with learning disabilities’ which became part of Livability, through a merger in 2016. Livability are taking the campaign forward. Create places of welcome: Ability Sunday is where disabled people are welcomed and enabled to express themselves and build confidence, offering opportunities for friendship and communal experience. 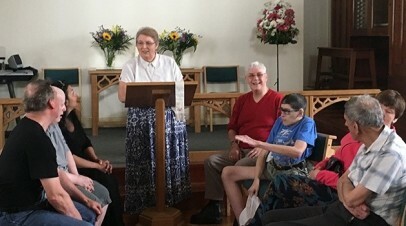 Celebrate gifts: Ability Sunday is a day when churches rejoice in the crucial contribution that disabled people make to the life of the church and start the journey to include disabled people in the worship, work and life of the church. Connect with community: Inclusion and community is on the heart of every church. Beyond the day of Ability Sunday, participant churches can access ongoing training and resources to support disabled and vulnerable people get more connected with their local community.